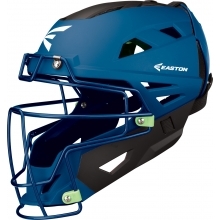 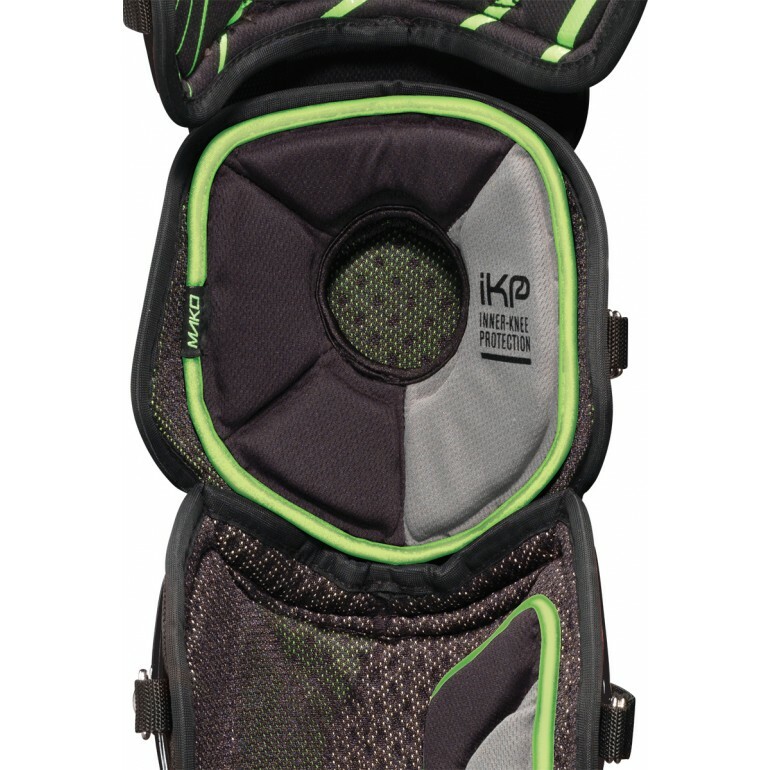 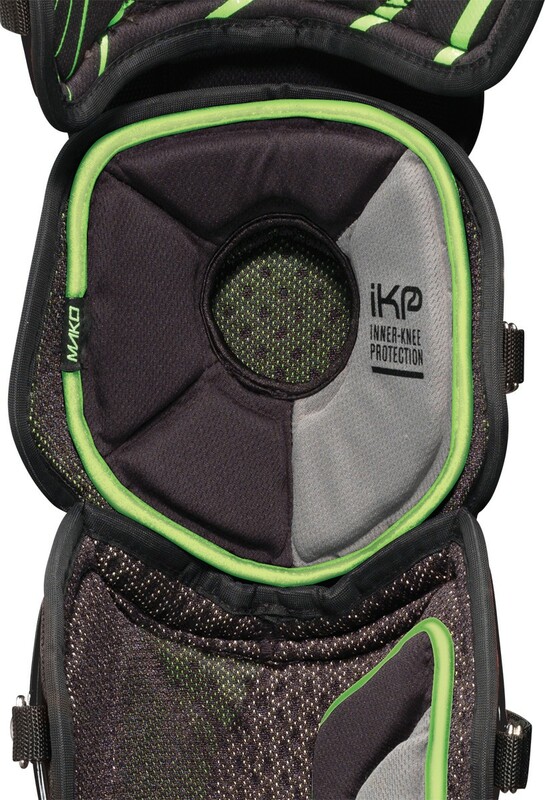 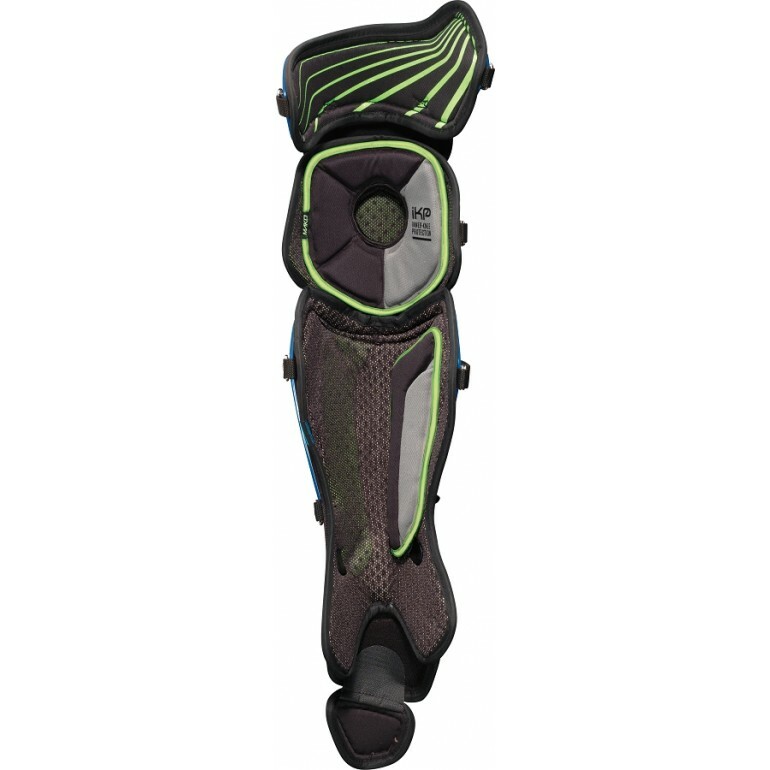 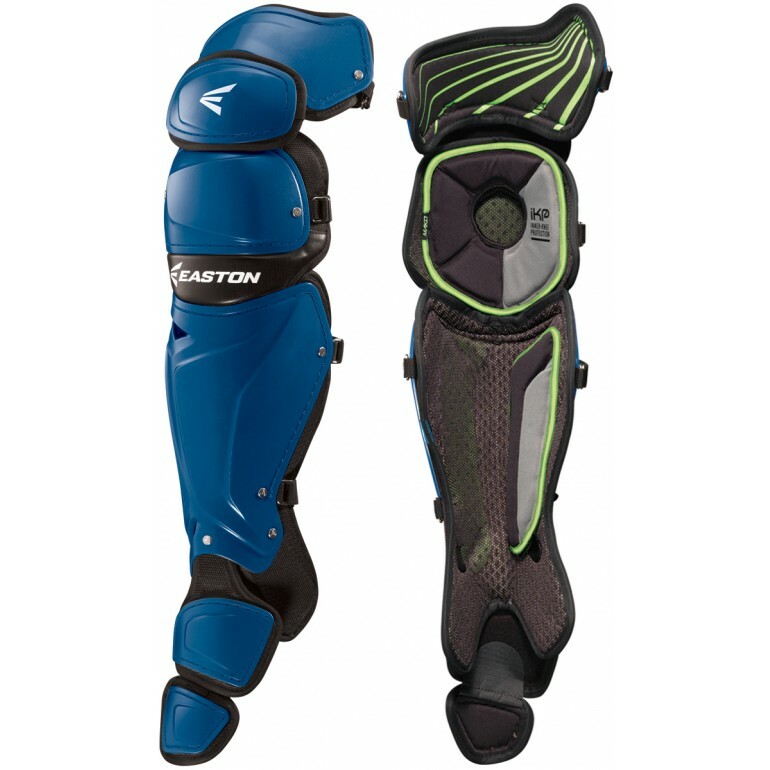 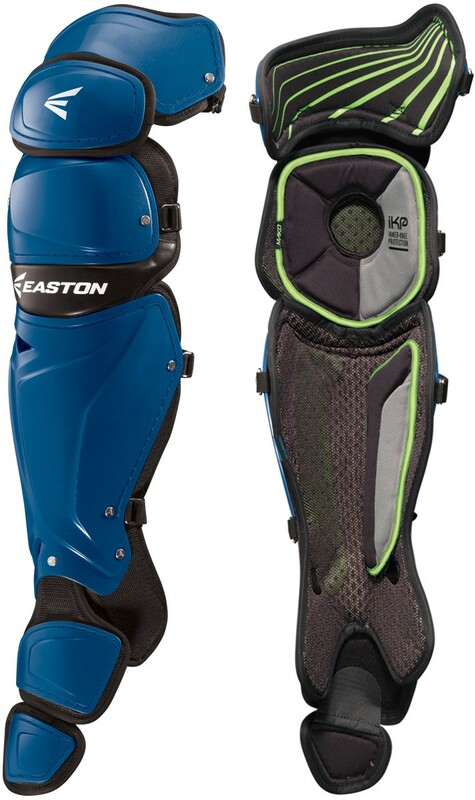 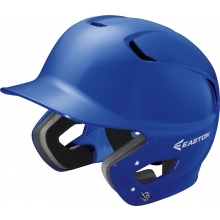 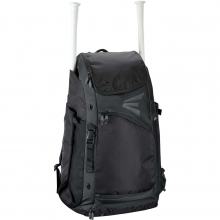 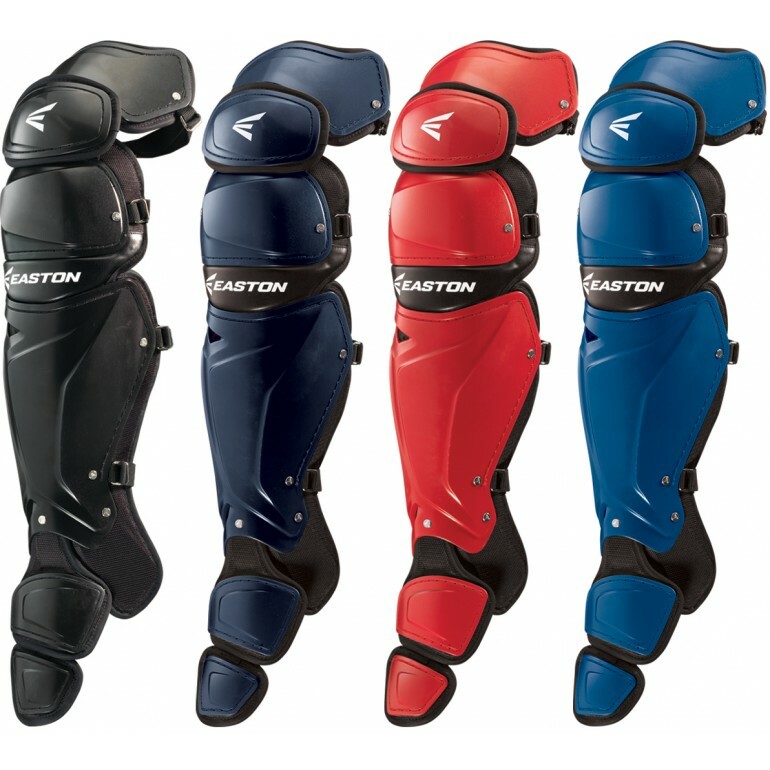 The Easton Mako catcher's leg guards include a custom two-piece knee/shin pads with zero shock memory foam technology which is strategically placed where catcher's need it most. 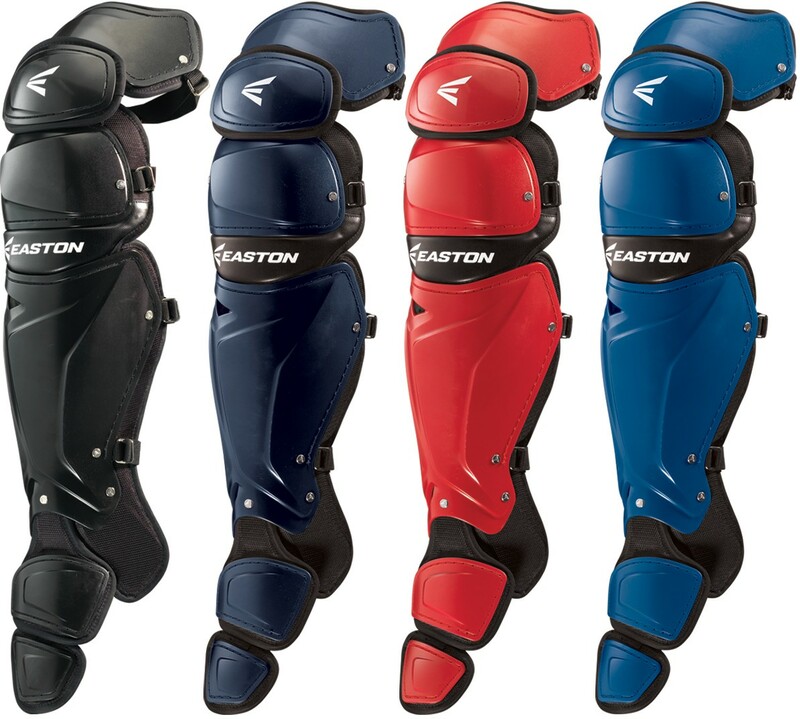 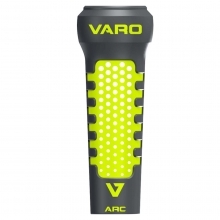 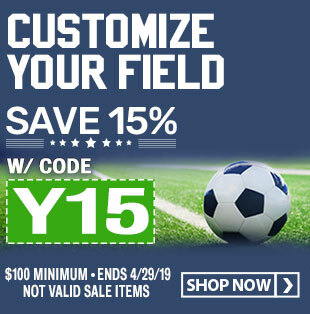 The Mako catcher's leg guards are designed with asymmetric and anatomical strap alignments that fit both the right and left legs perfectly. 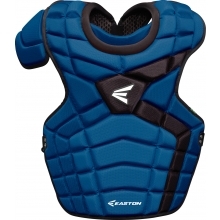 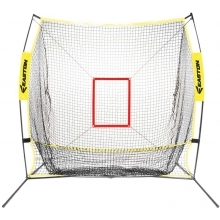 The TruBlock anti-roll design creates stability in and out of the blocking position while the EXOS ventilation system channels hot air out and cooler air in.